Ships Monday, April 22 if ordered in the next 2 days, 11 hours and 24 minutes! 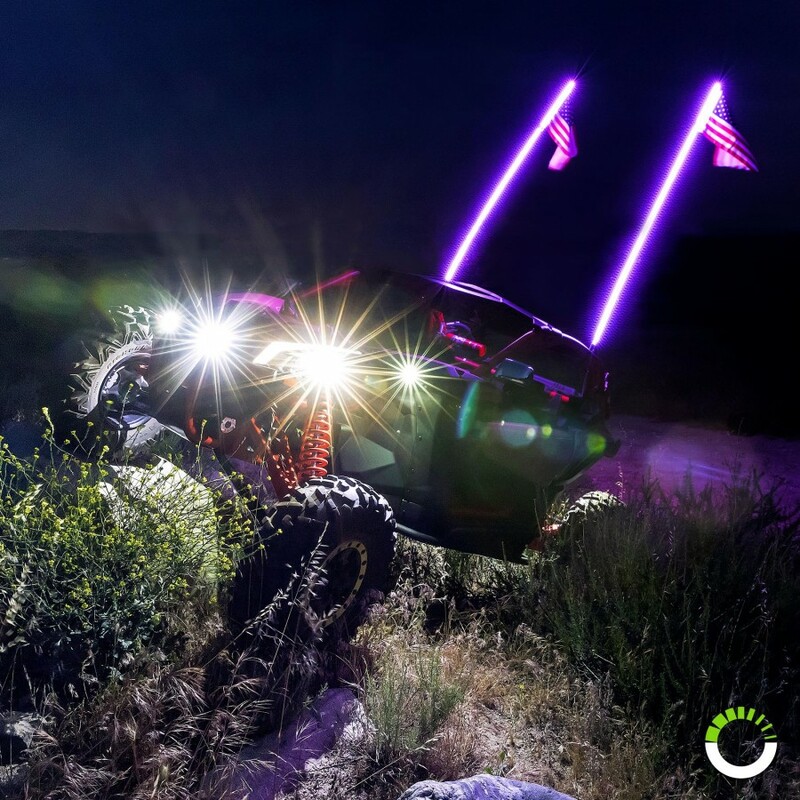 The OLS LED Whips are Multicolor LED car and safety whips which come in varying lengths of 3ft., 4ft.,5ft., and 6ft. 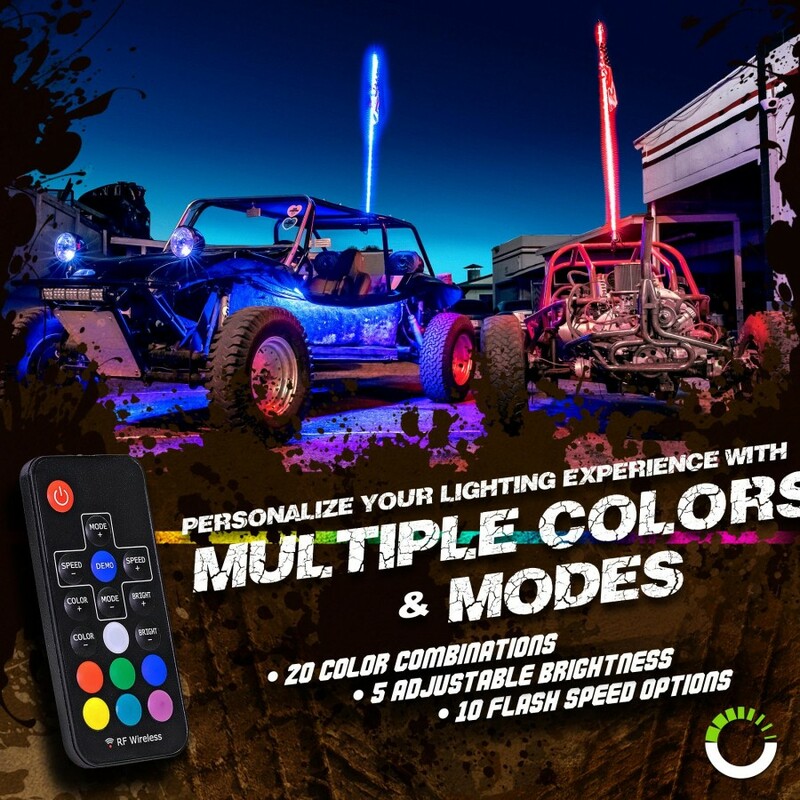 These 12W RBG LED whips which make a creative and unique touch to your dune buggy, or ATV can produce up to 20 colors and ten unique color modes all which you can quickly switch between with the supplied remote control. 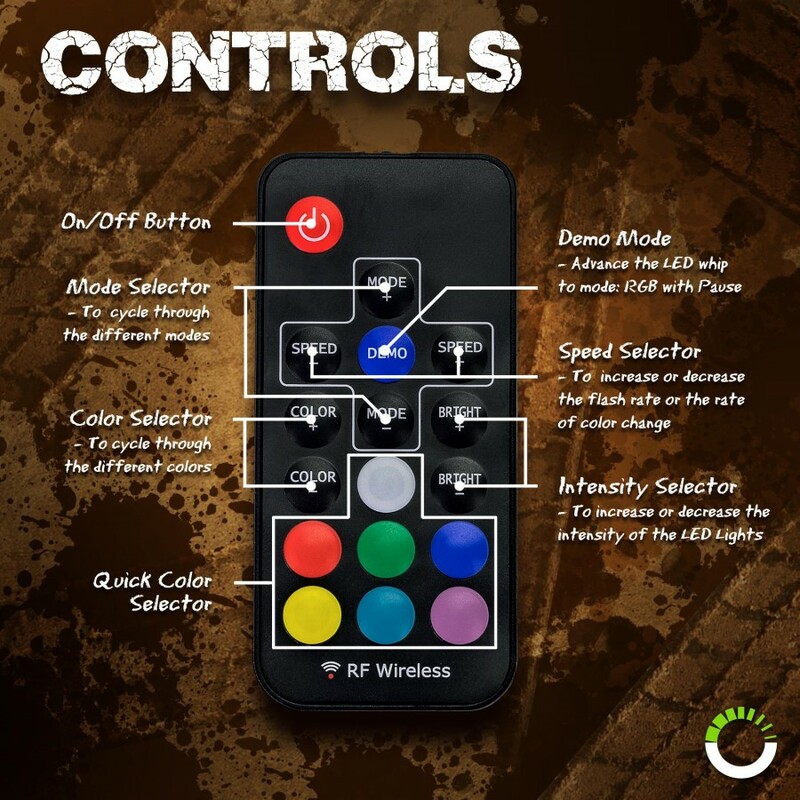 You can also adjust color brightness and flash speeds thus allowing you to get the full personalization experience. The unit can also recall the last selected mode. 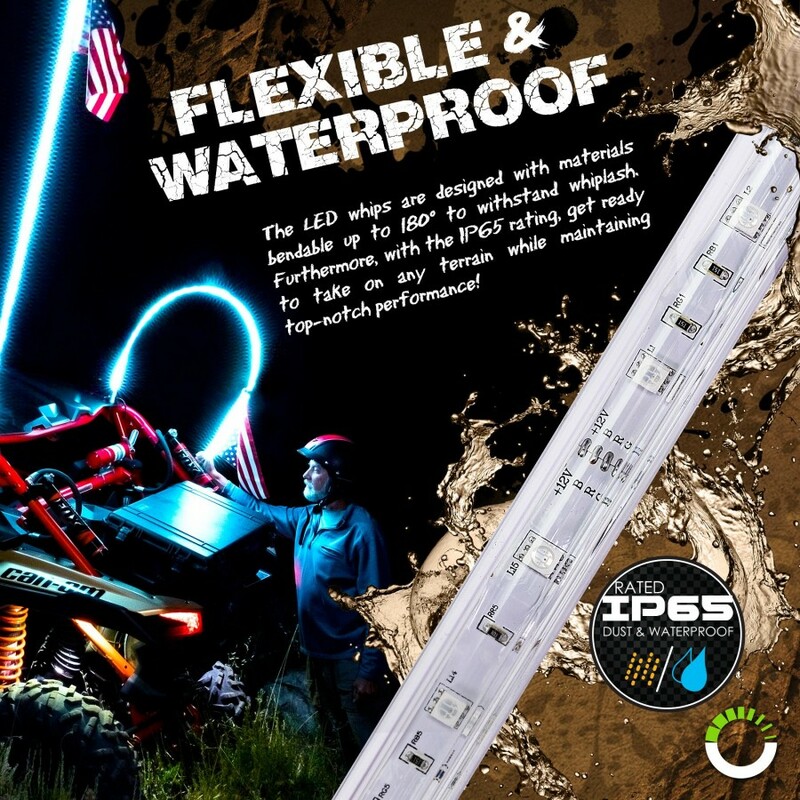 With an IP65 certification, the LED whips and connectors supplied are waterproof and well protected from water, dust, dirt and other conditions which could reduce the whip's durability. This does not only add to its durability but also make these whips well adapted to any terrain or environmental conditions. 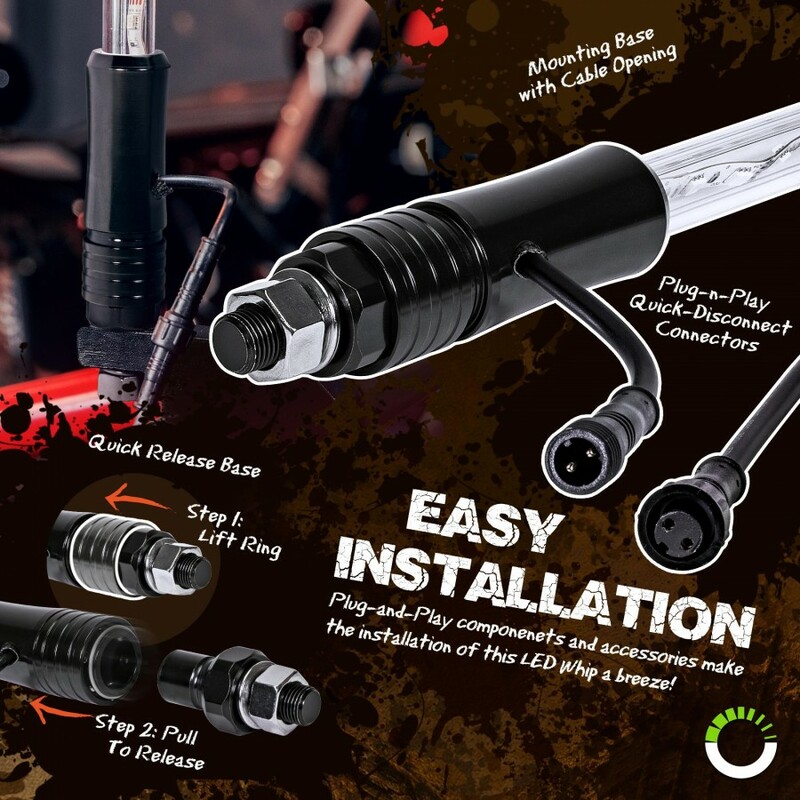 Installation is also hassle-free as the LED whips come in easy to install Plug-n-play components which anyone can put together. The connectors are also easy to connect making it possible to connect the whips only when needed easily. 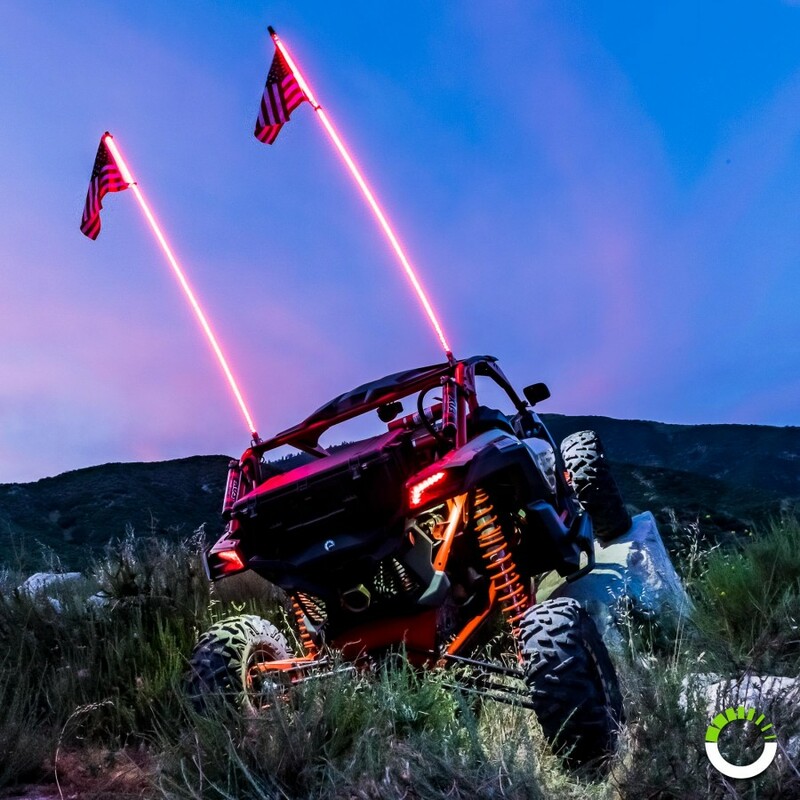 The LED whips are also flexible with longer units being bendable up to 180° and feature the enhanced anti-shock mechanism, this adds to the products durability by improving its tolerance to whiplash and protects the unit from mechanical damage. 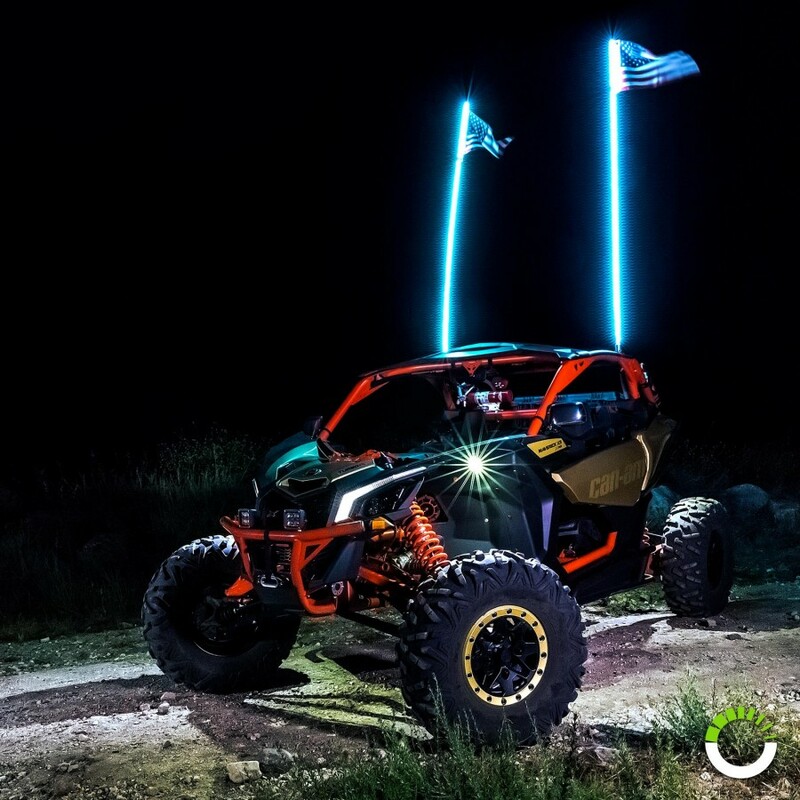 These high-quality multi-colored whips are an inexpensive yet durable and reliable way to add creative lighting to your vehicle or as warning flags. 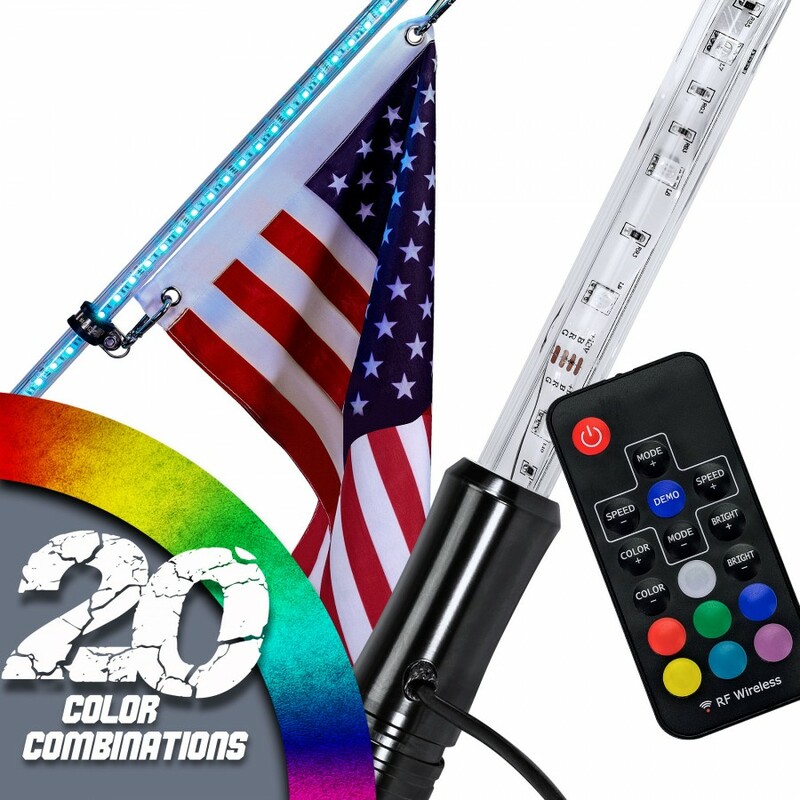 RGB Color Remote Control LED Whip w/ Flag"
I love these led whips. I have 2 4ft whips on my jeep. I broke them.but the led store stood behind there product and sent me 2 new ones. Excellent customer service. 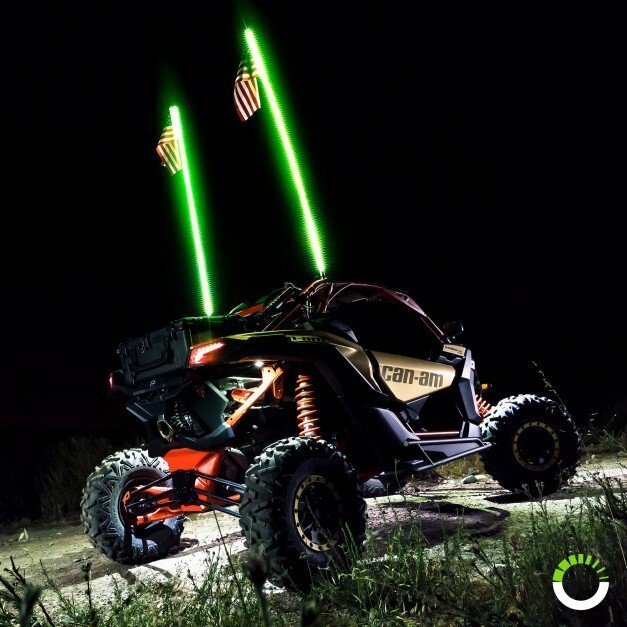 I would highly recommend the Online LED store. 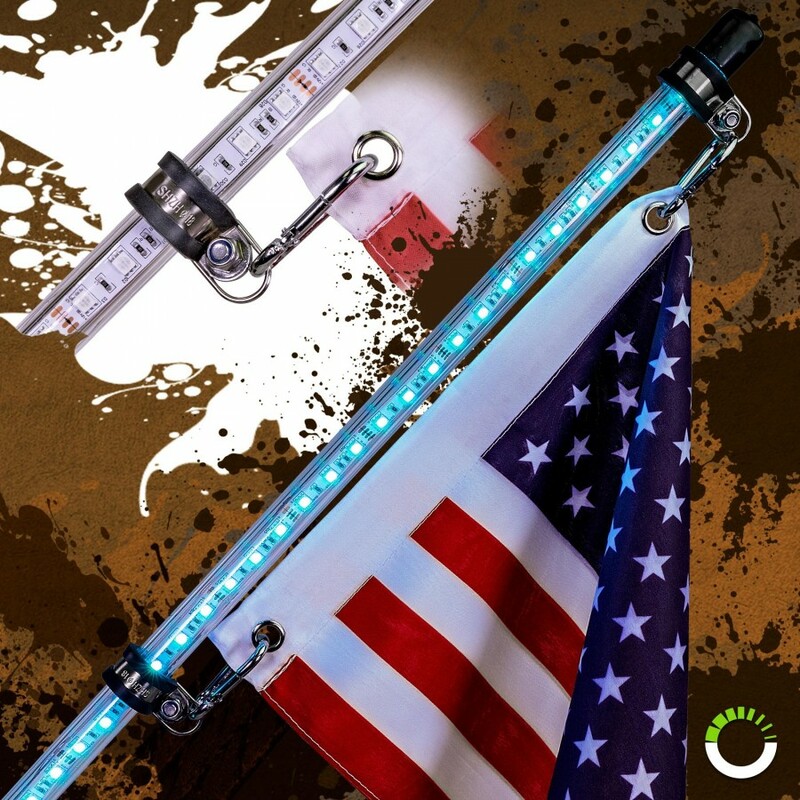 High quality, easy hook up and great flag holders included!